So you’re looking for a new Keurig coffee to try? There are many brands to choose from and many things to consider. Of course, taste should be top-of-mind, as you want to love the coffee you’re using to jumpstart your day. Aside from the delicious taste, you’re going to want to look for a coffee brand that takes your health into account. If their Decaf doesn’t say Water Processed or Swiss Water Processed, then it’s decaffeinated using a chemical process. The Water Process is far superior because it uses only water to extract the caffeine from the green coffee before roasting. Add chemicals? No thank you. Not many people think to check the organic aisle for their Keurig coffee, but buying an organic coffee means you’re buying beans that have not had contact with pesticides or other harmful chemicals during the farming process. This is also way healthier for the supplying farming communities, as it ensures they’re not exposed to these nasty chemicals either. Am I supporting anything I don’t believe in? Consider how each coffee company treats the farmers that grow their coffees. Look for coffees certified by Fairtrade International. The Fair Trade certification means the company is paying a higher fee for the coffee beans they receive from the farm. All the extra money is pumped back into the farming communities and goes towards supporting their needs- local education, or sometimes it’s improving sustainability on the farm. I don’t want to pay that much. The other thing to take into account is, of course, the cost of the coffee. The price tag will increase with better coffee beans, unique origins, and with more of the features mentioned above. If you like to buy local products, the same should go for your single-serve coffee! Supporting local companies always helps boost your economy. If you’re located in Canada and up for a little local challenge, research where the roaster is located. I’m not giving up my Keurig, but I wish I could reduce my waste. Of course, we want to tell you to buy OneCoffee! But more importantly, we want to inspire you to make conscious consumer decisions and to hold every brand in this industry accountable for their processes, the waste they create and the farming communities that grow the coffee beans. So, when you’re ready to search for something new, consider more than the taste – knowing you’re doing good, makes even a great coffee taste even better! If you’ve read this, and you’d like more information about our coffee– find us on Facebook and Instagram, @OneCoffeeOrganic and send us a message. 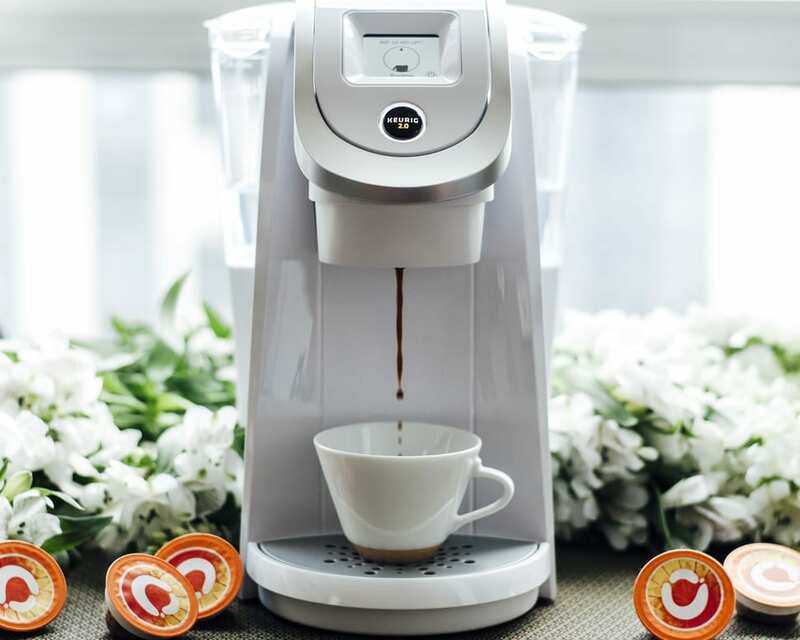 *OneCoffee has no affiliation with Keurig Inc. or K-Cup®.